Reliance Jio in this festive season has come up with long-term prepaid plans, wherein users can get up to 750 GB for a year. Jio has triggered a new tariff war, for prepaid users. pre-paid plans, with validity up to a year. 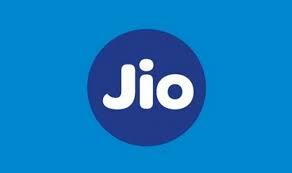 4 New Prepaid plans which have been just launched by Jio are: Rs 999, Rs 1,999, Rs 4,999 and Rs 9,999. As you can see, the plans have been designed to provide the cheapest data for the longest validity plan. Interestingly, the data will be provided in bulk, and not on per day basis, which has been the norm. Easily, these long-term plans are unmatched in the industry as of now. Looks interesting and attractive. How long it will be guaranteed is a question. Whether the scheme can be sustained for long period as the validity to the customer will be one year. If Jio discontinue such scheme in the middle, the customer is at loss. Hence some caution is required and guarantee from the Reliance as well.